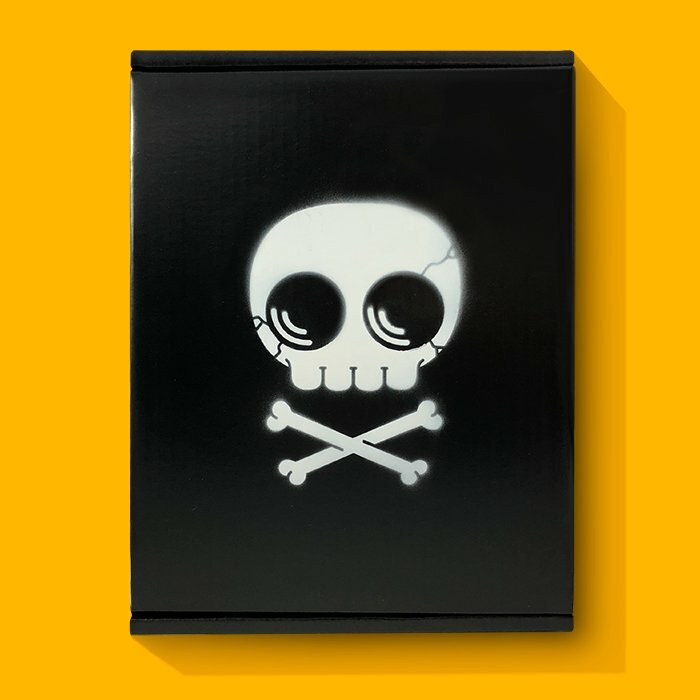 What is contained inside The Black Box by Mike Mitchell!?! The world may never know! The only way to ensure you find out is by pre-ordering one for yourself. You see, The Black Box is one of life's great mysteries. Mike won’t tell us everything that's inside…but it includes over a dozen items, and everything is new and exclusive! There is definitely one Fat Bird print and one Food Dude print, with the remaining items a combination of prints and swag. If you're a fan of Sir Mitchell’s work then you'll definitely dig this mysterious release. Collectors can pre-order The Black Box now through noon CDT on Monday, October 15th, at the Mike Mitchell online store for just $100. There will be a super limited amount of The Black Box available again towards the end of the year, but it will retail for $125 then. So the only way to be 100% sure you get one is by pre-ordering it this weekend. Also, if you end up not liking it, it's 100% refundable. How cool is that!? !